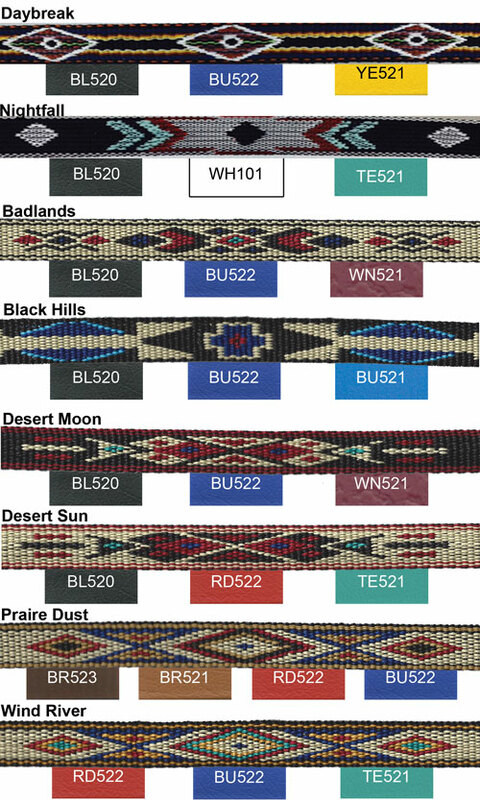 Soft flat braided rein in Black nylon braid is made with beta biothane colored ends, with our Beautiful Navajo Designs on top. It is a favorite for those who don't like the knots in their rein. Same great design as the knotted rope rein with beta ends, without the knots. Your choice of beta biothane color on the ends, and your choice of the Navajo design on top. Braided part of rein only available in black.